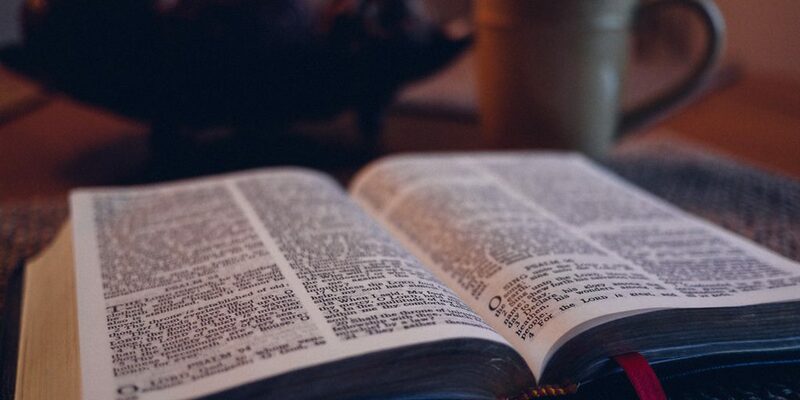 We believe in the authority and sufficiency of the Word of God, consisting of the sixty-six books of the Old and New Testaments, as originally written; that it was verbally and plenarily inspired and is the product of Spirit-controlled men, and therefore is infallible and inerrant in all matters of which it speaks. We believe the Bible to be the true center of Christian unity and the supreme standard by which all human conduct, creed, and opinions shall be tried (II Tim. 3:16-17, II Pet. 1″19-21; Isa. 40:8; I Pet. 1:24-25a). There is one and only one living and true God, an infinite Spirit, the Maker and supreme Ruler of heaven and earth; inexpressibly glorious in holiness, and worthy of all possible honor, confidence, and love; that in the unity of the Godhead there are three persons: the Father, the Son, and the Holy Spirit, equal in every divine perfection and executing distinct but harmonious offices in the great work of redemption (Exod. 20:2-3, I Cor. 8:6; Rev. 4:11). We believe that the physical universe is the result of the direct creation of God “ex nihilo” through a series of unique creative acts accomplished in six literal twenty-four hour days. Since God created mankind into genders, specifically male and female, we believe that the only legitimate marriage is that between one man and one woman. We believe that the Noahic Flood was a literal event – the result of God’s judgement on the rebellious descendants of Adam and Eve. Only eight human souls (Noah and his family) survived the Flood and all living mankind are descended from Noah’s family. (Gen. 1:1; 1:27-31; 2:7-3:10; 6:5; Gen. 6-8; 7:13; 8:18; Ex. 20:11; Matt. 19:4; 24:37; Col. 1:16; I Pet 3:6; II Pet. 3:5). Jesus was begotten of the Holy Spirit in a miraculous manner, born of Mary, a virgin, as no other man was ever born or can be born of woman, and that He is both the Son of God and God the Son (Gen. 3:15; Isa. 7:14; Matt. 1:18-25; Luke 1:35; John 1:14). We believe that man was created in the image of God, but in Adam the human race fell, inherited a sin nature, became totally depraved and alienated from God. As a result, he is totally incapable of remedying his lost condition. Man’s only hope is the gift of salvation brought to him by grace and received through personal faith in the Lord Jesus Christ whose blood was shed on the cross of Calvary for the forgiveness of sins. A Christian has two natures, one carnal and one spiritual, which are in spiritual conflict with each other. While his position is perfect in Christ, the believer’s present condition is no more perfect than his daily experience. He is called upon to live a separated life and can have a spiritually mature experience in which he experiences the fruits of righteousness. We believe that all the redeemed, once saved, are kept by God’s power and are secure in Christ forever. Believer may rejoice in the assurance of their salvation through the testimony of God’s Word, which, however, clearly forbids the use of “Christian liberty” as an occasion to appease the flesh. (Gen. 1:26,27; John 1:12; John 6:37-40; 10:27-30; John 17:14; Rom. 3:22,23; 5:12; Rom. 8:1-3, 38,39; 13:13; I Cor. 2:15-17; 4:1-8; II Cor. 7:1; Gal 5:16-25; Eph. 1:7; 2:1-3; 4:22-32; 5:17-21; Titus 2:11-15; I Pet. 1:5; 18,19. The Lord Jesus Christ, the eternal Son of God, became man, without ceasing to be God, having been conceived by the Holy Spirit and born of the Virgin Mary, in order that He might reveal God and redeem sinful men (John 1:1,2,14; Luke 1:35). He accomplished our redemption through His death on the cross as a representative, substitutionary sacrifice in providing an unlimited atonement for the sins of the whole world; and our justification is made sure by His literal, physical resurrection from the dead (Rom. 3:24,25; I Peter 2:24; Eph. 1:7; I Peter 1:3-5). The Lord Jesus Christ ascended to heaven and is now exalted at the right hand of God, where, as our High Priest, He fulfills the ministry of Representative, Intercessor, and Advocate (Acts 1:9,10: Heb. 9:24; Rom. 8:34; I John 2:1,2). The holy Spirit is a divine person, equal with God the Father and God the Son and of the same nature; that He was active in the creation; that in His relation to the unbelieving world He restrains the evil one until God’s purpose is fulfilled; that He convicts of sin, of righteousness, and of judgment; that He bears witness to the truth of the gospel in preaching and testimony; that he is the Agent in the new birth; that He seals, endues, guides, teaches, witnesses, sanctifies, and helps the believer. Every true believer receives the baptism of the Holy Spirit at the time of salvation (I Cor. 12:13; John 14:16-17; Matt. 28:19; Heb. 9:14; John 14:26; Luke 1:35; Gen. 1:1-3; John 16:8-11; Acts 5:30-32; John 3:5-6; Eph. 1:13-14; Mark 1:8; John 1:33; Acts 11:16; Luke 24:49; Rom. 8:14,16,26,27). We believe that God created an innumerable company of sinless, spiritual beings, known as angels; that one, “Lucifer, son of the morning” – the highest in rand-sinned through pride, thereby becoming Satan; that a great company of the angels followed him in the moral fall, some of whom became demons and are active as his agents and associates in the prosecution of his unholy purposes, while other who fell are “reserved in everlasting chains under darkness unto the judgment of the great day” (Isa. 14-12-17; Ezek. 28:11-19; 1 Tim. 3:6; 2 Pet. 2:4; Jude 6). We also believe that a great company of angels kept their holy estate and are before the throne of God, from whence they are sent forth as ministering spirits to minister for them who shall be heirs of salvation (Luke 15:10; Eph. 1:21; Heb. 1:14; Rev. 7:12). The Church, which is the body and the espoused bride of Christ, is a spiritual organism made up of all born-again persons of this present age (Eph. 1:22,23; 5:25-27; I Cor. 12:12, 13; II Cor. 11:2). The establishment and continuance of local churches is clearly taught and defined in the New Testament Scriptures (Acts 14:27, 20:17, 28-32; I Tim. 3:1-13; Titus 1:5-11). The Lord Jesus Christ has left two ordinances to be observed by the local church in commemoration of His person and work. The one is that of baptism (immersion) in the name of the Father, Son, and Holy Spirit. The other is the partaking of the Lord’s Supper (Matt. 28:19,20; Acts 2:41,46,47; 16:33; I Cor. 11:23,32). No person is qualified to have part in either of these two ordinances unless he has been born from above. God gives spiritual enabling gifts for service to all believers (Rom. 12:6-8; I Cor. 12:4-11; Eph. 4:11-16). The apostolic age of signs and the gifts of healing and tongues ceased with the ministry of the apostles chosen personally by Christ and with the completion of the written Word of God. Speaking in tongues was never the common or necessary sign of the baptism or the filling of the Spirit. The gifts which remain are sufficient for the ministry and the perfecting of the Church today. We believe that God does hear and answer the prayer of faith, according to His will for the sick and the afflicted (James 5:14,15). It is the obligation of the saved to witness by life and by word to the truths of Holy Scriptures and to seek to proclaim the Gospel to all mankind (Mark 16:15; Acts 1:8; II Cor. 5:19,20). We believe in the bodily resurrection of all men, the saved to eternal life, and the unsaved to judgment and everlasting punishment (Matt. 25:46; John 5:28,29; 11:25,26; Rev. 20:5,6,13). We believe in the pre-millennial return of the Lord Jesus Christ; that this second coming will be a literal, bodily, personal appearance to the earth; that His coming of His Bride, the Church, precedes the Tribulation and constitutes the “Blessed Hope” set before us, for which we should be constantly looking (Matt. 24:27,30,44; John 14:1-3; I Thess. 1:10; 4:13-17; Rev. 19:11-19).